Guests were dressed to impress as 43 chefs from around the country cooked for a cause at Vetri’s 9th annual Great Chef’s Event at the Philadelphia Navy Yard on June 10, 2014. The event surpassed their goal and raised $1 million for two charities, Alex’s Lemonade Stand Foundation and The Vetri Foundation for Children. More than 1,200 guests were in attendance, sampling bites, imbibing in great spirits, and bidding on silent and live auction items. The live auction alone raised $80,000.00. Notable speakers at the event included School District of Philadelphia Superintendent Dr. William R. Hite Jr. describing the work of the Vetri Foundation and Liz and Jay Scott, Alex’s parents and Co-Executive Directors of Alex’s Lemonade Stand Foundation. In conjunction with the FIFA World Cup 2014, McDonald’s has changed the look of its iconic red French fry packaging globally with bold, new artwork to celebrate the upcoming soccer event. In addition, the new fry boxes will be the key to “unlocking” a new app “McDonald’s GOL!” that will reward French fry loving patrons with an engaging, virtual trick-shot challenge. The app will be compatible with most Android and Apple mobile devices and will be available for download in the Google Play store and Apple App Store™. The redesign will treat customers and futbol fans with an exclusive collection of original street art that reflects the beauty and passion of the game of futbol. 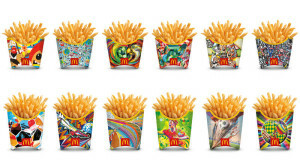 Twelve artists from around the world were chosen to create the special new designs, which will canvas McDonald’s Medium and Large fry boxes in the majority of company-owned and franchised restaurants worldwide. 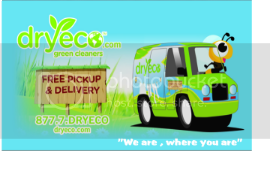 To view the different designs visit: www.gol.mcd.com. SUSHISAMBA is celebrating the World Cup by bringing the action from Brazil to its locations in Miami Beach and Coral Gables for ‘SUSHISAMBA MUNDIAL 2014!’ In celebration of the games, each restaurant has created the ultimate viewing experience for fans, featuring special events, festive food and drinks, and live coverage of all matches from June 12 – July 13, 2014! Drawing from the brand’s cultural and culinary heritage, Brazil will be the centrepiece of the month-long fête. 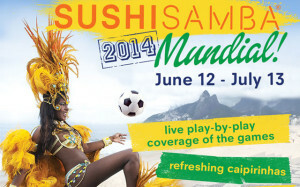 Kickoff in true SAMBA style on Thursday, June 12 for the Brazil versus Croatia game with samba dancers, dj’s, a themed menu, and drink specials; www.sushisamba.com. On Tuesday, June 17, Share Our Strength’s Taste of the Nation South Florida – the region’s premier culinary benefit featuring top chefs from Miami-Dade and Broward counties – is returning to the Loews Miami Beach Hotel. More than 60 celebrated restaurants, fine wine and spirits and live entertainment come together in an unforgettable night for a fabulous cause – end childhood hunger in America. This year’s event will be bigger than ever, with pop-up stations located in the heart of the ballroom; a basketball hoop area where guests can challenge former WNBA starand Share Our Strength advocate Ruth Riley while raising money for the organization ($1 per hoop); and a bocce ball court. Miami Heat fans should not fret: there will be a beer garden with flat screen TVs set up for those in attendance that can’t miss Game 6, scheduled to air that evening. 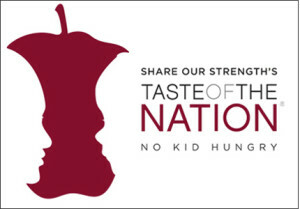 100% of ticket sales from South Florida’s exclusive gastronomic extravaganza will benefit Share Our Strength, the nation’s leading nonprofit organization working to end childhood hunger. 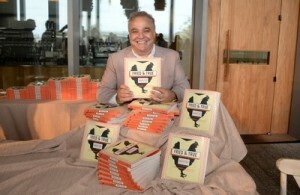 This year’s soirée will be emceed by local culinary personality Ralph Pagano; VIP tickets are $250 each. General admission is $125 per ticket; Tickets for the Black and Blanco After Party are priced at $75 per person. Taste of the Nation South Florida VIP ticket holders will also enjoy complimentary access to the after party. 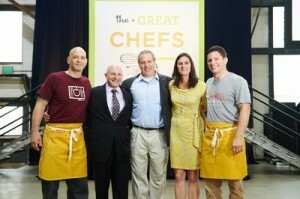 Tickets may be purchased by calling 1-877-26-TASTE or by visiting CE.NoKidHungry.org/SouthFlorida. Conceptualized and executed by Chef Michael B. Jacobs, The Hidden Kitchen Workshop is a unique underground dining series consisting of exclusive multi-course meals created and served by the Workshop’s honored guest chefs, along with Chef Jacobs. On Wednesday, June 25, at 7:00 p.m., Chef Jacobs will join forces with Chef de Cuisine Conor Hanlon of The Dutch for a one-night-only Southern Seafood Bash. The family-style, multi-course dinner will be priced at $120 per person including alcohol, tax and gratuity. The evening will begin and end with hors d’oeuvres and dessert prepared by The Hidden Kitchen, along with courses prepared by Hanlon. 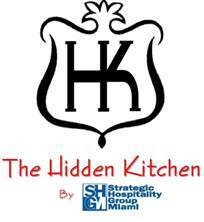 Seating is limited and tickets must be purchased in advance at http://www.strategichospitality.net/hidden-kitchen-workshop-tickets/. The Hidden Kitchen Workshop takes place at The Hidden Kitchen café, located inside the Imperial House condominium. Guests enter through an unsuspecting back door staffed with a member of The Hidden Kitchen Workshop team who escorts diners to the dining room. The Seven Seas Aveda Spa & Salon is celebrating teachers with Summer Spa Specials priced at only $20.14 each. With the end of the school calendar looming, it is time for teachers to unwind and be appreciated for all their hard work. 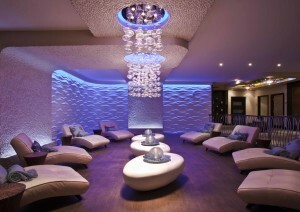 To thank educators for their contributions to the community, the Seven Seas Aveda Spa & Salon is hosting a summer-long, teacher appreciation promotion featuring luxury spa treatments at the discounted rate of $20.14 to celebrate the end of the 2013-2014 academic year; For appointments call 305.749.2100 or visit http://www.sevenseasspasalon.com for more information. 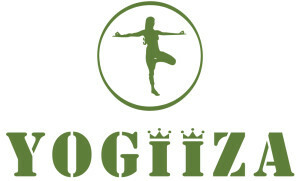 YOGiiZA fitness brand has launched its new collection, just in time for summer, designed to make you look hot but feel cool. Complete with new breathable pieces constructed with organic cottons, it is the perfect fit for the active yoga enthusiast.